The Federal Motor Carrier Safety Administration (FMCSA) and Federal Railroad Administration (FRA) consider information on sleep apnea and likelihood of daytime fatigue and daytime tiredness with greater propensity for accidents. 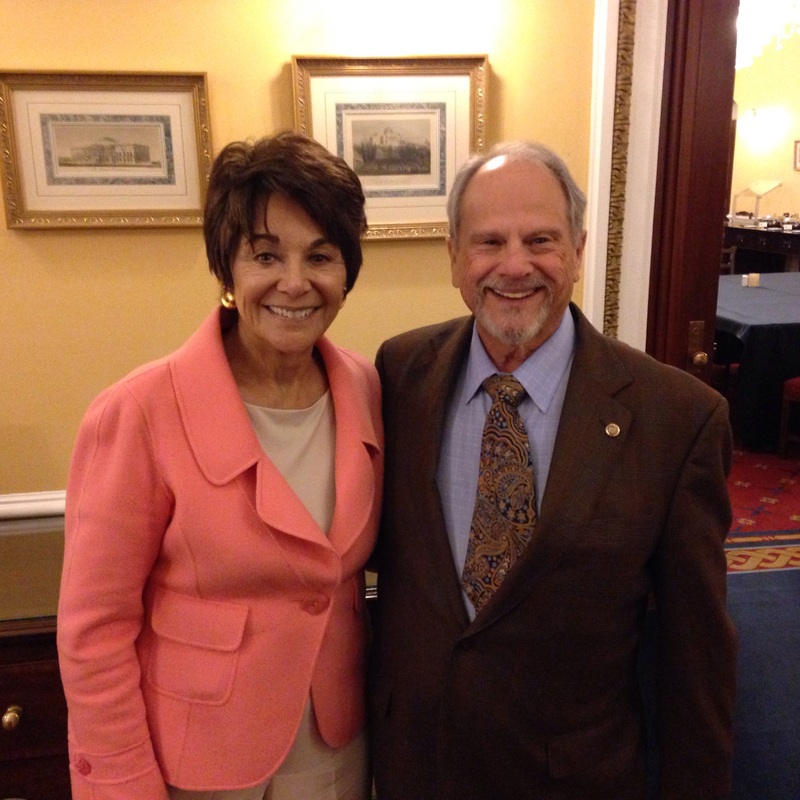 Dr. Elliott J. Alpher, Diplomate to and representing the American Sleep and Breathing Academy and Congresswoman Anna G. Eshoo (D-Calif.), Ranking Member of the Energy and Commerce Committee’s Subcommittee on Communications and Technology for the 114th Congress met today to ask her support on proposed rulemaking for screening, diagnosing, treating and tracking compliance of Obstructive Sleep Apnea (OSA) in individuals occupying sensitive positions in highway and rail transportation. Dr. Alpher was also responsible for heading a delegation to the Federal Motor Carrier Safety Administration (FMCSA) and Medical Advisory Board (MAB) to introduce the new technology of compliance chips in oral appliances to treat and monitor sleep apnea and snoring of truckers and other transportation personnel. In addition, he earned the status of Diplomate of the American Board of Craniofacial Pain & Dental Sleep Medicine in October 2013 and serves as a board member. Dr. Alpher is a Diplomate of the American Academy of Pain Management, Life Member of both the American Dental Association and the District of Columbia Dental Society. Dr. Alpher is also a board member and Diplomate to the Board of the American Sleep and Breathing Academy since March of 2014.